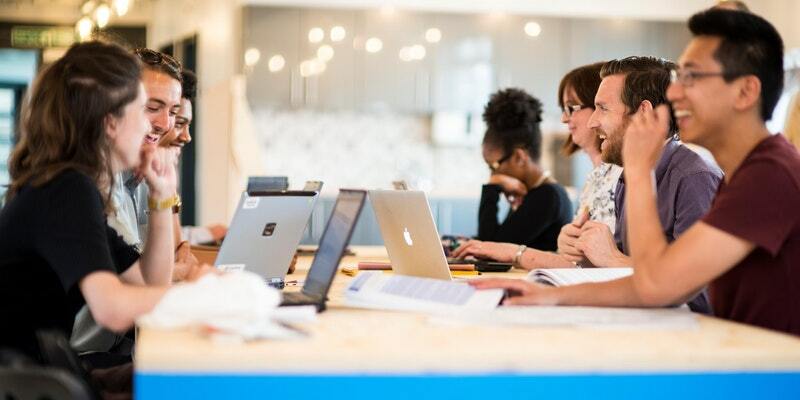 Compared to dedicated office space and coworking, the concept of Virtual Office is less self-explanatory and unsurprisingly, something Nwes receives a lot of questions on. This post aims to explore the definition of Virtual Office and share the most popular reasons why more and more businesses are choosing to sign-up for it. Virtual Office provides businesses with address and communication services, without providing dedicated physical space. In other words, the ability to associate with a business centre in a location of your choice, but the freedom to work from wherever you like. It’s true that the location associated with your business can play an important part in people’s first impressions of you. Showcasing professionalism and trustworthiness in the early stages of a customer’s journey is a crucial part of any good marketing strategy, especially as a new start-up looking to place itself ‘on the map’, and associating with an established business centre can give your business a lot more credibility than associating with a residential address. Consider the below example. 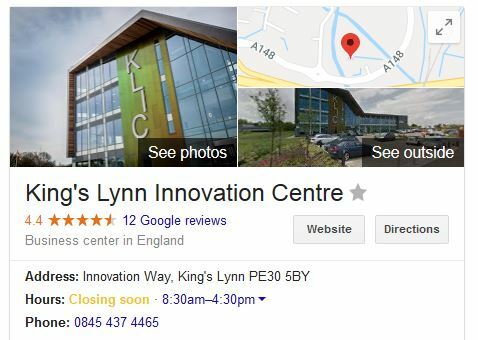 By using a Virtual Office membership, freelancers and small businesses in West Norfolk can swap their home address for the King’s Lynn Innovation Centre, replacing grainy Google Street View images with hi-res photography, and leveraging the brand of their own business by being associated with another. In this case, a high-profile innovation centre recognised by The Royal Family and the RICS architecture awards – making it a particularly good virtual office location for start-ups in the creative and design sectors to associate with. Even if the location or appearance of your home address has the potential to create a good first impression, showcasing where you live to clients and the general public can be a security concern for many. Using Virtual Office helps to keep your personal address, and your personal life, private. Alongside a virtual business address, Virtual Office memberships offer a number of opportunities to streamline your administration and day-to-day customer service tasks, allowing you to focus on the core tasks of your business. Combining the address-side of Virtual Office and the support-side of a virtual assistant means you can reduce the time you spend waiting in for deliveries with secure mail handling services, and never-miss-a-message with professional call answering and forwarding services using a local phone number of your choice. Having the freedom to work from where you like (home / local coffee shop / Caribbean cruise ship) alongside the clout of a virtual business address can be fantastic, but it’s common for Virtual Members to require ‘physical’ space for particular occasions too. Especially meeting and conference facilities with a board room to help secure new business with a client or as a place to interview a new staff member. Thankfully, many Virtual Office memberships include a discounted rate for meeting and conferencing facilities, giving you a reduced price as and when you need them. What type of businesses does virtual office cater for? Because of its affordability, Virtual Office can be perfect for an array of start-ups and freelancers but that’s not to say it can’t work for others too. The fact that you’re not financially tied to a long-term lease or tied to one physical location in terms of where you work, makes it a very popular alternative to traditional workspace, and can also be particularly good for larger companies and consultants tendering for new business where the perception of a local presence is crucial. It’s common for start-ups to secure a virtual address and work from home, however depending on your type of business and style of work this may not be the best route for you. Whilst working from your lounge or kitchen can surround you with your home comforts, it can bring isolation and a number of distractions into play too. We all grow and develop when we break out of our comfort zones, not by staying in them, and so coworking or dedicated office space may be better options if collaboration and achieving more of a work-home divide supports your productivity. Rolling monthly contracts offer great flexibility for your business to scale up or down, and with affordable fees from £10 a week, virtual office is a great-value stepping stone before physical office space becomes a possibility. Several Nwes Virtual Office members eventually go on to secure their own dedicated office space in the same location as their virtual office, as their business grows. Learn more through the experiences of current Nwes clients or by clicking below for pricing and further details on the Nwes Virtual Office homepage.